Our terrific Friday at the Arthur Lyons Film Noir Festival was followed by a wonderful four-film Saturday! 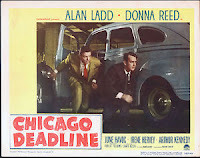 First up on Saturday: Alan Ladd starring in CHICAGO DEADLINE (1949), introduced by Eddie Muller. Donna Reed and June Havoc costarred, with a large supporting cast. I first saw this "newspaper noir" at last year's Noir City Hollywood Festival and enjoyed revisiting it. I'm always happy to watch an Alan Ladd movie! It's a solid film, building to an exciting shootout in a parking garage. Again this year we stopped in for lunch at Sherman's, which has one of the best French dip sandwiches I've ever had. A must for festival visitors! Then it was time for Alan K. Rode to introduce the world premiere of UCLA's restoration of THE RED HOUSE (1947), which was funded by Martin Scorsese's Film Foundation. 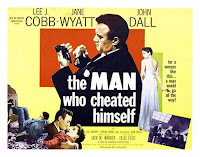 The third film of the day was another title I'd first seen at last year's Noir City festival, THE MAN WHO CHEATED HIMSELF (1951), introduced by Eddie Muller. The exciting news here was the film was restored since my first viewing! It looked terrific, and I thoroughly enjoyed watching it again, especially since I visited the film's Fort Point location in San Francisco last summer. 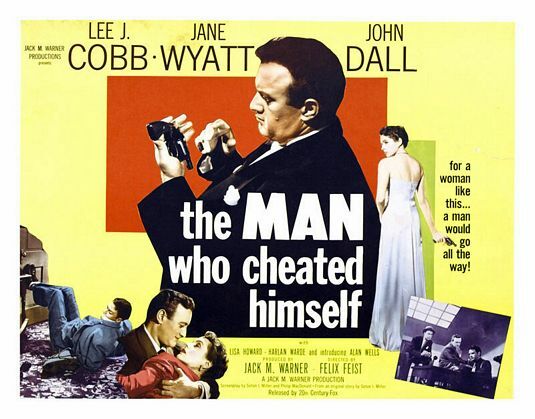 THE MAN WHO CHEATED HIMSELF stars Lee J. Cobb, Jane Wyatt, and John Dall. Look for it to air on TCM's Noir Alley this summer, and it will also have a Blu-ray release from Flicker Alley. 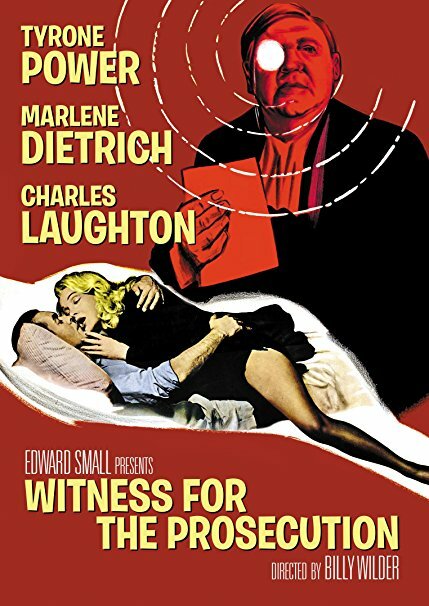 The final film of the day was WITNESS FOR THE PROSECUTION (1957), which I'd not since since I was a teenager. I remembered enjoying it but little else, so it was pretty much like seeing a new movie. Ruta Lee, who has a small but important role in the film, was interviewed by Alan K. Rode before the movie. She said that Charles Laughton and Elsa Lanchester were very kind to her, inviting her to tea in their dressing room and helping coach her on the proper British dialect for her middle-class character. Lee also remembered director Billy Wilder chanting Marlene Dietrich's lines to try to help give her the mood and tone he was looking for. Like anyone else in Hollywood, she had only good things to say about the film's star, Tyrone Power, a man who seems to have been universally admired by all. There aren't enough adjectives to describe Ruta Lee, but effervescent, ebullient, and irrepressible would be a good start. In that regard she reminds me of her longtime friend, Debbie Reynolds. She couldn't have been friendlier when I spoke to her before the movie, which was quite a thrill for me since she's one of the dancers in my favorite film, SEVEN BRIDES FOR SEVEN BROTHERS (1954), and she also appeared in one of my favorite episodes of MAVERICK, my favorite TV series. More festival coverage coming soon, including a review of THE RED HOUSE and an overview of the final day of the festival. Update: Here is my review of WITNESS FOR THE PROSECUTION.